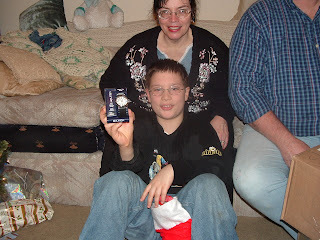 Jacob got a watch in his stocking from Santa. He was so excited. He'd been asking for a watch for quite some time now. How did Santa know? 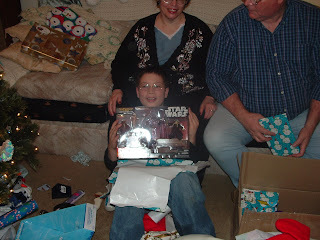 He also got a Star Wars action figure set from Uncle Randolph, Aunt Sophie, and Uncle Fan. 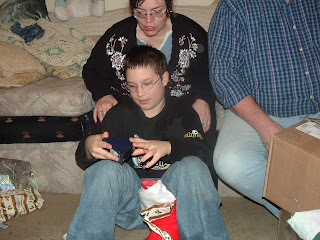 He decided to keep his Aunt Sue and Grandma Ida dollars and add it to his dollars he already had. He bought Star Wars Legos II with his money. He played the game boy game most of the way home from North Carolina.